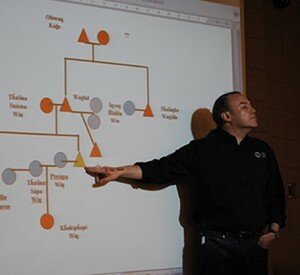 Wilhelm Meya is the Chief Executive Officer of Lakota Language Consortium. Mr. Meya is a national advocate for endangered languages and draws on more than 20 years of experience in higher education, linguistics, and nonprofit management. Under Mr. Meya's leadership, the LLC has become the chief promoter of worldwide action for protecting the Lakota language and culture. Jan Ullrich is the Chief Linguist of Lakota Language Consortium. Dr. Ullrich has been documenting and analyzing the Lakota and Dakota language since 1986. Apart from his work on the documentation and description of Siouan languages, he brings skills and experience in curriculum development and teacher-training to his leadership of LLC's language programming work. Junior Garcia is the Education Director at the Lakota Language Consortium. 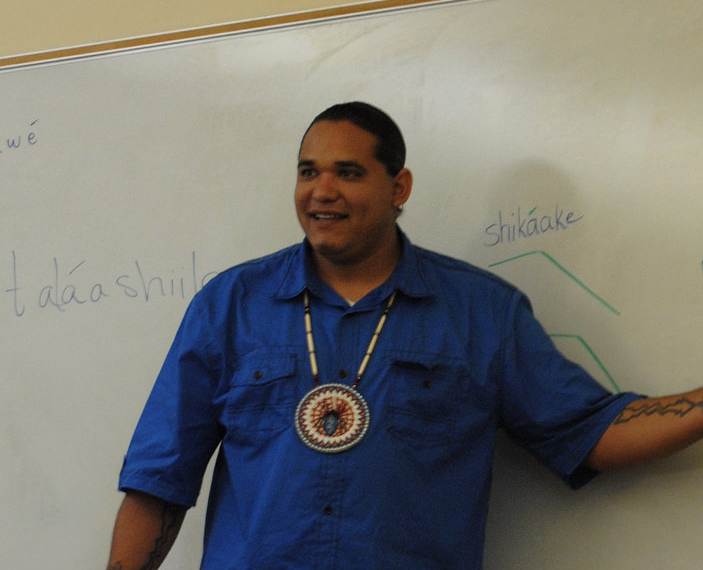 He has taught various courses at the Lakota Summer Institute since 2012 and is a leader in the field of Lakota language instruction and teacher training. Previously, Junior was the Dean of Culture and a Lakota language Instructor at the Native American Community Academy in Albuquerque, NM. His teaching experience and positive energy are fundamental to LLC's work. Carla Brock is the Chief Financial Officer for the Lakota Language Consortium. CFO Brock has been Chief Financial Officer for numerous businesses over the past 15 years and is also an Associate at Prall & Co. CPAs. CFO Brock has worked with the LLC as a Finance and Accounting specialist since 2015. She is responsible for every aspect of accounting work A/R, A/P, payroll, payroll taxes and filing of all payroll tax forms, project financial reports, EEO reports, AIA documents including billings, reconciliations as well as the filing of annual tax returns. She attends project meetings, work directly with Senior Staff to provide documentation as required. Junior Garcia teaching at the Summer Institute. Jan Ullrich lecturing at the Lakota Summer Institute. Bob Rugh is the Publication Specialist at the Lakota Language Consortium. He brings over 15 years of experience in photography, print production, and teaching English as a second language to LLC. Bob is responsible for content development and production of the print and electronic textbooks LLC's language projects. In the past, he has been heavily involved in Literacy and Adult Education in Chicago as both a marketing consultant and award-winning tutor. Elliot Thornton is the IT Specialist at the Lakota Language Consortium. He has been web programming, managing servers, and developing IT solutions for non-profits and businesses for more than 8 years. He is an avid gardener and wood worker sometimes bringing his bounty to local farmers’ markets. He is excited to help maintain and expand the wide array of LLC apps, websites, and technologies.